Drawing from the disciplined world of dance to the depths of personal loss, Hayley Schmidt has created a yoga experience that strengthens the body while healing the spirit. As a professional dancer, Hayley first approached yoga from a physical standpoint, striving for extreme strength and flexibility of her body. But when she experienced an unexpected tragedy, life as she knew it cracked open. Her practice taught her to observe and accept – and became her salvation. In 2012 she opened Beyondbeing Yoga, a popular studio in Subiaco with a rotation of extremely qualified and experienced teachers. Her vision? To help others through the power of yoga, just as it helped her. Hayley’s classes offer the discipline and dynamism of dance. Using her in-depth knowledge of human anatomy, she leads a nuanced practice that gives a transformative body, mind and soul experience. With intelligent sequences designed to help you expand every inch of your being, Hayley’s teaching holds a lyrical quality of concise instruction and specific energetic cues, all the while offering philosophical meditations that guide you into higher states of consciousness. Hayley’s classes are for anyone curious about how they can open their mind while strengthening their body – and lead life with a greater sense of meaning and connection. Eric is a Yoga Teacher and a life coach. His teaching style is engaging, empowering and creative, embracing the full potential of body, mind and spirit. Eric was voted best yoga instructor in Washington, DC in 2016 and his students across the globe are a testimony of this honour. Eric is an E-RYT 500 and leads state of the art yoga teacher trainings. His personal journey and transcendent life teachings light up his classes, shining hope, unwavering faith and transformation. Eric’s teachings inspire students from all walks of life to offer their best to themselves and the world. His classes are fluid, breath-focused and purposely sequenced in the most rewarding way, helping students discover inner peace, serenity and joy. Eric incorporates embodied wisdom from his work as a life coach and his teachings serve as a backdrop for the real transformation that happens when a student learns to quiet the mind and open the heart. His classes range from peaceful, introspective flows to energetic mind and heart expanding power vinyasa. Eric’s passion for yoga as a spiritual practice is felt in each posture, guiding from a place of long life learning, faith and trust in the sacred mysteries of life. Eric’s kind and loving presence are well suited to leading students of all levels. He offers deep gratitude to his teachers Natasha Rizopoulos and Chanda Creasey. Sava discovered Hatha and Iyengar Yoga in 1997 and was eventually drawn to the Ashtanga Yoga method in which he has maintained a committed daily practice since 2007. He teaches from this lineage, yet continues to learn through modern Vinyasa teaching techniques and extends this combined knowledge through his class delivery. Sava’s classes are focused and strong, continually guiding students to be present and conscious of the body/mind/breath connection in their practice. Inspired by a desire to alleviate the mental unrest and emotional turmoil that so frequently permeate our urban lifestyle, Tess endeavours to share with her student’s tools realised through her own practice and study, to encourage self-inquiry and self-support. She offers a dynamic and explorative flow class, and a warm and nurturing Yin class. Her goal is to provide a safe space for students to decompress, to connect with their bodies and breath, and to explore the layers of conditioning influencing their mental wellbeing and anxieties. Laticia’s first yoga class was early 2009, being an ex-dancer she was looking for another way to keep my body moving and my flexibility intact. She remembered it was a hot yoga class and most of it a blur, the next morning Laticia woke up with a clarity and sense of calm washed over her that was hard to put into words, and so the journey began. Laticia completed her 200hr in 2016 and not long after her Yin Yoga training. Choosing to share her passion as a job has been one of the best decisions Laticia ever made and she is constantly inspired and in awe of those who she is lucky enough to guide. Laticia is first and foremost always a student and recently travelled to India to complete her 300hr advanced vinyasa training. She is also a certified Pilates teacher; hence you will always see a little bit or maybe a lot of core in her class. Someone wise once told her a great teacher always teaches what they know, and that’s all Laticia ever hopes for, to share what she is learning along the way. Kat first discovered yoga at her local gym in 2008; it was a couple more year’s before she stumbled into a Bikram Yoga class in 2010 when she really found her passion. From then on Kat hasn’t looked back. Since graduating from Bikram’s College of India in 2011, Kat has taught in studios all around Australia and the UK. 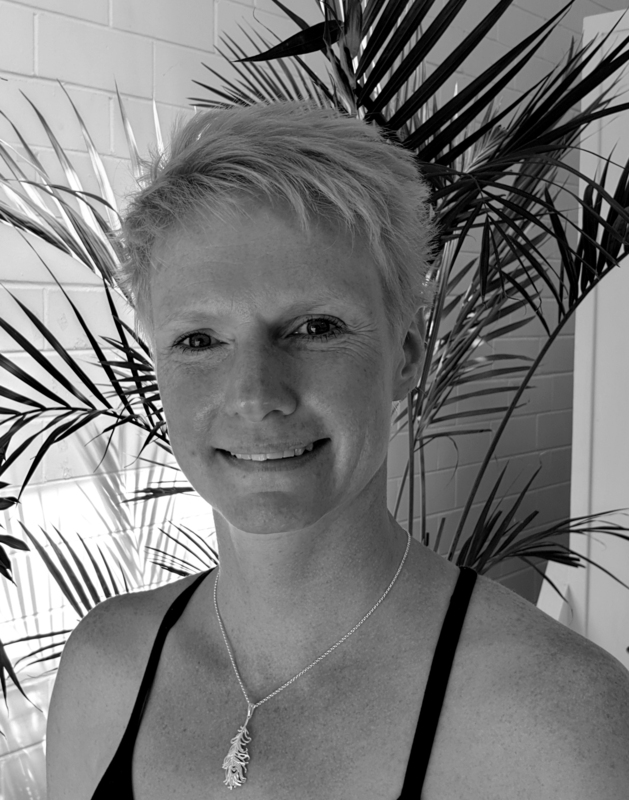 Since then Kat has expanded her teaching styles to Yin and Vinyasa over the past seven years. 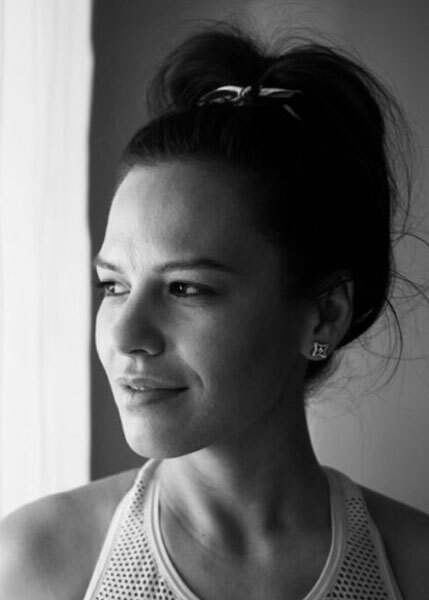 Combining functional anatomy and modern alignment with her passions for energy healing Kat aims to offer a unique experience within her yoga classes. There is nothing Kat enjoys more than speaking about energy, Chakras, meridians and current energy forecasting in an easy to follow and down to earth way. Kat is always keen to further her skills and personal practice through continued education to keep her work evolving and fresh. She truly believes we never stop learning and there is still more to discover and unveil.